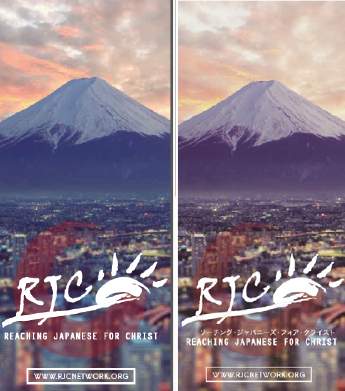 The Reaching Japanese for Christ Network (RJC) is a place for you to create synergies with other Christian believers who share a love for and interest in Japanese people, particularly those who come to North America on a temporary basis. Few Japanese know Christ as their personal savior. Less than one percent are confessing Christians, and those who attend a church comprise much less than one half of one percent of the population. With over five hundred thousand Japanese living in the United States and Canada each year as students and workers, now is their best chance to hear the Good News. This is an opportune time for them to consider the Gospel, far away from the social and professional pressures of Japanese society. Please pray for these precious people that God loves so much! And consider joining the RJC network to partner with other believers in reaching out to them. 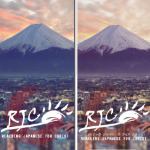 RJC Endorsement from Setsu Kuroda, International Director of Japanese Christian Fellowship Network: RJC has been a wonderful place where people with same passion for the Lord and for Japanese get together. It is a place where you will be better equipped to do the ministries God had called you to be a part of. It is also a place where you receive encouragement, challenges, and renewed vision and passion. It is a place where you, not only, can grow as a minister but as a child of God. I have been involved with RJC for the past 6 years and I have been personally touched by God at RJC. He gave me a new vision, new passion and new perspectives on the big picture of Japanese ministries OUTSIDE of Japan as a part of His world mission. As I serve the Lord through Japanese Christian Fellowship Network (www.jcfn.org ) in which we equip Japanese before and after their return to Japan for ministries by providing follow up services, small group ministries, conferences and seminars, I am grateful to the ministries of RJC. 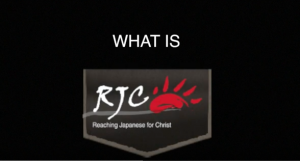 If you are starting to get involved in Japanese ministries in your area, or even just thinking about it, I strongly recommend you to attend RJC. If you are a seasoned worker in this field, I also strongly recommend you to attend RJC so that you will be an encourager, mobilizer and equipper to help others to do the great work God is doing among Japanese here in the US.